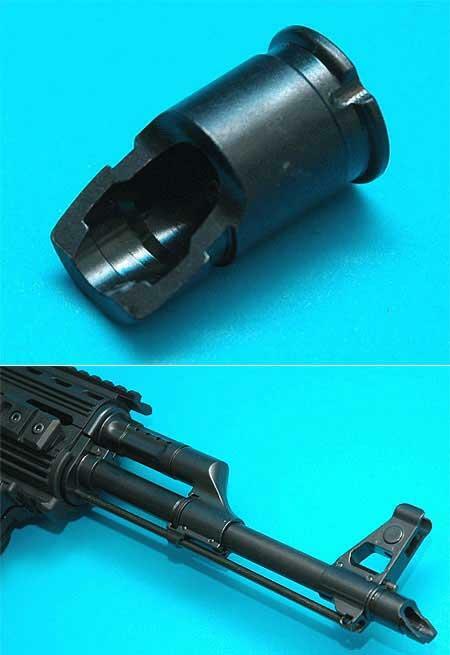 In my opinion they should remove the compensator as an option for tke AK74, but leave the recoil reduction it provides (as the real life AK74 actually has a very effective muzzle brake already) and instead simply bump the weapon up in weight from 4 to 5 to be alongside the M4. 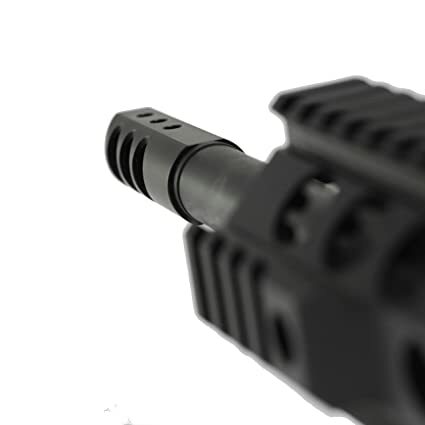 As for all of the rest of the compensators (& flash hiders) ingame, they need to be reduced dramatically in size, as in reality most compensators are only slightly wider than the barrel, being the same size as most flash hiders. 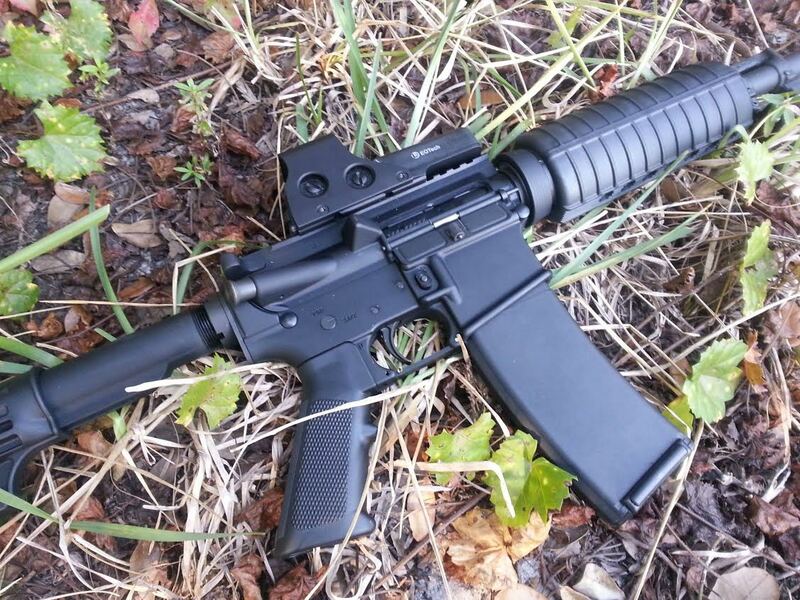 Should also note that today the real life M4 carbines (& M16s) comes with a dual purpose compensator/flash hider, where there are only vents on top, reducing muzzle climb and flash at the same time. i.e. only slightly bigger than the std. 30 rnd mag. They could even give the 35 rnd mags that smooth contour as seen above to make it stick out visually from the std. 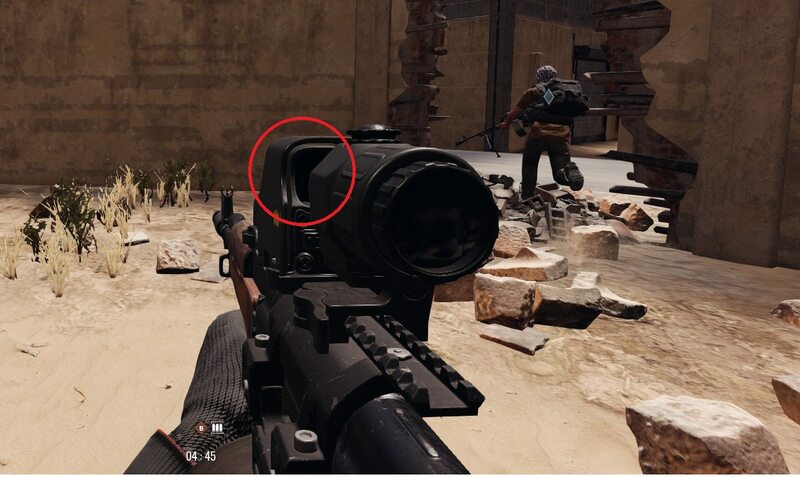 30 round mags ingame that way. Please Focus, it looks like we're running around with cartoon weapons atm with those way too long 35 round mags and way waaay too big muzzle devices. 7.62x51 NATO & 7.62x54 R weapons should all kill in 1 shot to the upper chest at least, making taking two to the stomach area to die possible with heavy armour. 5.56 NATO, 7.62x39 & 5.45 Russian should all kill in 2 shots to the upper chest (main difference between 7.62 full power vs AR calibers) as well as stomach. I think damage should be based on the kinetic energy of the round, it's the only fair way to balance things, and a 168 grain 7.62 round does after all pack noticably bigger punch than any AR round, which should be reflected ingame IMO. As for bolt action rifles, just give them 7.62 AP ammo and make them 1 shot kills to any part of the body except limbs - albeit a shot to the arm from the side should penetrate through into the torso, but that goes for all rounds. There's a reason militaries around the world have been reissuing the battle rifle én masse for a while now, the stopping power of the 7.62 was sorely missed by the troops. @thehappybub Yes I completely agree regarding the ballistics. That said I feel a 2 shots to kill to the armoured torso for both the AR15 & AK rifles is perfect. I do feel any gun chambered in 7.62 NATO should drop a man in 1 shot in the same place though, otherwise the purpose of the lower capacity & higher recoil battle rifles makes little sense ingame. Another thing I've noticed is the insane recoil of the M249 SAW, that thing should if anything recoil slightly less than an AR15 due to its higher weight and same 5.56 chambering. Not a fan of the arcade balancing the devs applied there. 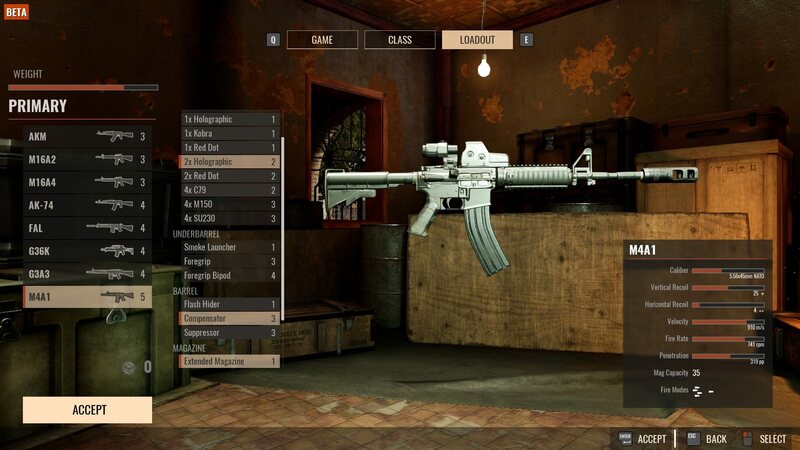 Much better to give it slower ADS due to its higher weight, which is another thing I feel the devs need to implement = weapon weight influencing ADS time. Well I think it is worth thinking about, not only because of crazy across the map shots by bots, but also to alleviate that some people are currently griefing others by shooting them in the legs to reduce their health in COOP mode. So I think a 30 sec timer before a slow health regen occurs would be a nice addition. Along with more realistic weapon ballistics ofcourse. Well I mean we don't have ballistic drop, or time of flight, vitals modelled or anything like that, so I wouldn't call the game THAT realistic. I'd love for it to be so ofcourse, but that would mean a lot of further weapon & dmg model tweaks. I mean atm .45 ACP out penetrates 9mm, and 7.62x39 penetrates as much as 7.62 NATO. Hardly realistic. To me a 30 sec pause before health regen seems like a good solution, esp. vs bots that can pull off some amazing across the map shots. Either that or a bandaging system that is slow, like 15 sec to bandage or something. I thought there was health regen tbh, and since you can't bandage shouldn't there also be? I mean it should wait 30 sec before regen starts, but then that's also way out of combat anyway. Most games, also the realistic ones, have health regen in them - either that or they allow you to restore health some other way, like bandaging etc. Just noticed it as you now seem to die real quick if you've been hit earlier in relation to before the 4.20 patch. Hence it feels like the bots have become a lot better, when in reality it's just you who's been wounded earlier so it only takes one shot to down you.